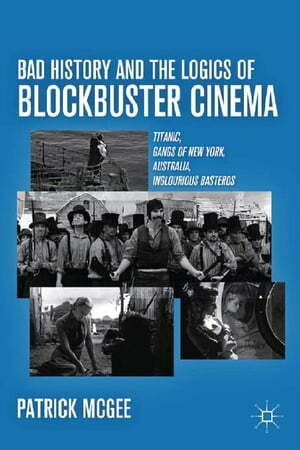 Collins Booksellers - Bad History and the Logics of Blockbuster Cinema by Patrick McGee, 9781137012524. Buy this book online. In his latest book, Patrick McGee argues for the political and social significance of mass culture through the interpretation of four recent big-budget movies:Titanic,Gangs of New York,Australia, andInglourious Basterds. Through philosophical and historical contextualization, he reveals the logic of what appears on the screen, a logic that shows how these films both represent and distort the historical record in order to articulate a truth that challenges conventional history as a discipline. Counterdisciplinary in its method, this exciting work asserts that no movie can ever be reduced to the absolutely authentic or the absolutely inauthentic.